Each week at LaSalle Street Church we want children and their families to experience the "three L's". LOVE - Most of all we want the children to experience God's love as they are nurtured and cherished by caring adults. LAUGH - We work hard to make our Children's programming fun. 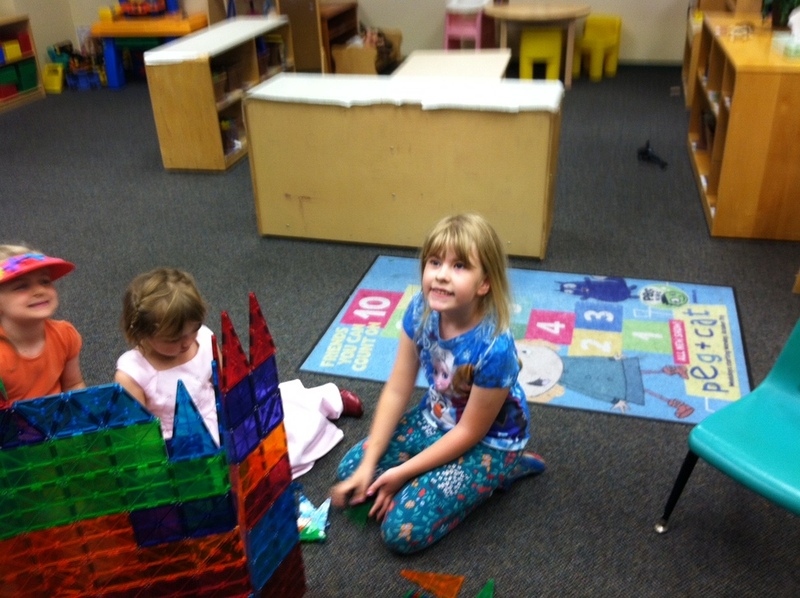 We are a place where children's laughter is heard every week and their joy is treasured. LEARN - Children delight in learning. We teach children the foundational stories of the Bible and seek to foster children's faith development in every aspect of our program. Meet Pam Mayer-Caes, Director of Children's Ministries. Children's Church at the 9 AND 11:30 AM gathering for Kids age 4yrs - 7yrs in the Kids area in the ground floor of the sanctuary. We understand that participating in worship is very important for the faith development of children. It helps them feel a part of the larger community and teaches them the patterns of worship. We also know that sitting through a sermon is very hard for younger children. Prior to the sermon at the 9 am service (and our Summer 10 am service), children ages 4 through first grade are dismissed from the service and invited to come to a special room just off Fellowship Hall for a short lesson and activity. Typically the lesson is related to the themes of the worship service. Nursery at 9 and 11:30 am gatherings for infants and toddlers on the 2nd Floor of Cornerstone Center. We are committed to providing a safe nurturing environment for our youngest children. Our hope is to provide great care for the children, and peace of mind for the parents while they participate in worship and educational opportunities. The Church Nursery (for babies under a year) is in the lower level of the church building. Childcare for toddlers (up through 3-years-old) is available on the 2nd floor of Cornerstone Center. Nursery care is provided by our loving and very skilled paid nursery staff. Sunday School during the 10:15am Community Hour for ages 4yrs - 5th grade on the 2nd floor of Cornerstone Center. Sunday School is a fun place for children to experience the love of God, learn the stories of the Bible and begin a life long journey of faith. Children gather together each week for worship, and then go to their individual classrooms. We use the DWELL curriculum in the 1st through 5th grade classrooms. The tag line for this curriculum is: "Helping kids find a place in God's story." We think you will find it both reflective and engaging, with room for kids to ponder "wondering questions" about God and what God is doing in our world and in their lives.